It has been eight months since Lincoln Memorial University’s law school, the John J. Duncan Jr. School of Law, was denied accreditation by the ABA. 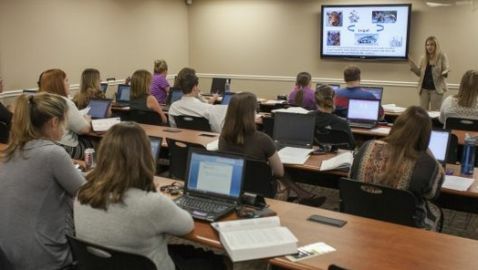 Quite a few students transferred out of the school but a new class was admitted and classes have begun for the fall semester, according to Knox News. In July, the law school’s appeal of the ABA’s decision was denied. Instead, the school was told that it could appeal for a second time. The school’s administration submitted its second appeal and is waiting for the ABA to schedule a hearing, according to Dean Sydney Beckman. In December, the school also filed a lawsuit in federal court that claimed antitrust and the violation of due process. It was filed against the ABA. The lawsuit has been stayed until the second appeal ruling has been issued. The law school has until 2017 to acquire accreditation from the ABA because of an extension from the Tennessee Board of Law Examiners. This means that the law school students can take the state’s bar exam. In May of 2013, the school will graduate its first class, which consists of 90 students. Those students will then be able to take the state’s bar exam. “There’s not really anything we can do about the ABA accreditation, but what we can do is graduate and pass the bar and we can show what we’re made of and what this school has provided to us as far as education is concerned,” Nikki Price said. Price is a law student part-time who is scheduled to graduate in May of 2013.